Well, I knew that I was going to miss part of church because I was meeting my friend Elizabeth at the antique show, but when she ended up getting sick and couldn’t go, I decided to go ahead and stay home from church entirely and Joey and I ended up going on our own. I felt a little guilty at first, but I’ve enjoyed having an “oyster” so much that I think it was probably best for us. Whenever Joey and I have a great day where we can do whatever we want, we call it an “oyster” (as in, “the world is your oyster!”). And today was a pretty good one. Check out this awesome birthday present that John got me!! 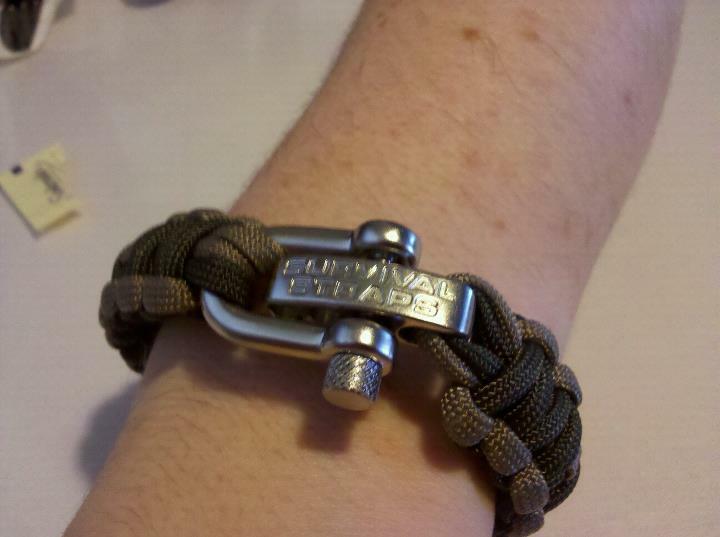 It’s a paracord bracelet! 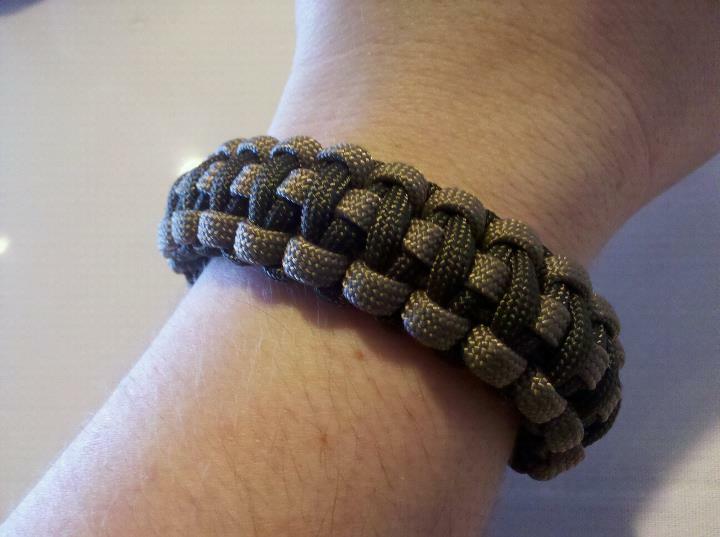 That way I’ll have several feet of paracord (rated at 550 lbs) in case a situation ever arises that I may need it (read: zombie apocalypse/government collapse/rioting). Pretty awesome, eh? And it looks totally badass;). I can’t believe that in less than two weeks, we’ll be taking our inaugural camping trip! I can’t wait…after how difficult this year has been thus far, it’ll be nice to take a trip now that I’m feeling stable. I did a cleanse for the last 7 days; I bought a 7 day cleanse by ReNew Life, and it was surprisingly effective. I lost four pounds, although most of it was probably poop. The downside of mental stability? I can’t get away from my tasks now…thesis, and weight loss.